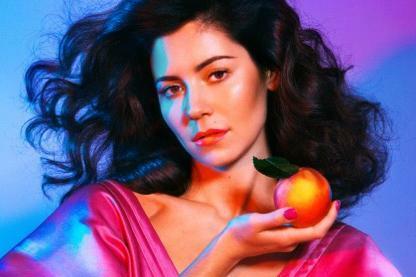 Marina and The Diamonds combines self-styled DIY artistry, retro and pop-culture influences, black humour and effortless spectral vocals to weave a deeply personal narrative that her fans tap into. Electra Heart was a instant UK and Ireland number 1, generating over 3 million single sales. Her debut, The Family Jewels, was certified Gold and gained Marina a huge international following. Combined with her stellar tours, Marina is soaring towards becoming the “great artist” she has always aspired to be. One of Marina's greatest strengths lies in her understanding of her fiercely loyal fan base, who are hungry for any way to personally connect and show their commitment to her. From the music itself, to images, merchandise and social media interaction, Marina represents an idol and a friend.